Offering Acne Treatment to Binbrook clients! 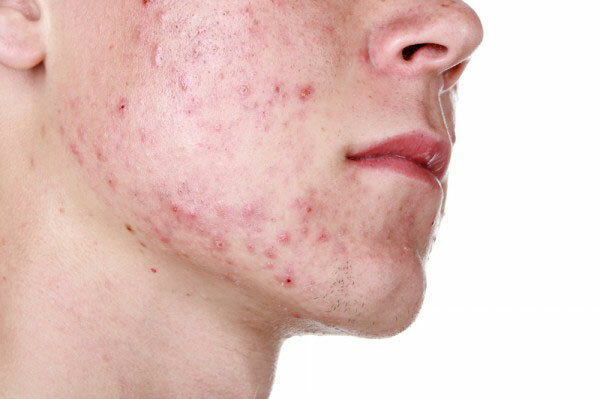 Acne or acne vulgaris is a disorder of sebaceous follicles that has multiple factors that contribute to its onset. It is associated with an increase in sebaceous gland activity, insufficient shedding of skin cells plugging the gland’s duct and follicle. This becomes an oil rich medium for bacteria and leads to the formation of pustules and cysts. The management of acne can be accomplished with a multitude of treatments. At Laser Aesthetics clinic serving Binbrook, we use impulse light therapy and BLU-U light therapy to target acne. The red inflammation of acne creates a target for the light therapy. Our goal is to use light and heat therapy to destroy bacteria, increase circulation in the affected area and to decrease sebaceous activity. Most treatments are pain-free and are fast to perform. Light based treatments offer the client an effective mode of therapy without the use of antibiotics. It is recommended that clients should be treated twice a week for 4 weeks or until they see significant improvement. It is important to stay ahead of the acne rather than let it worsen. Click here to request a consultation and get started with one of our Registered Nurses. Acne treatments are performed by Registered Nurse — this means we have many products and services only available to Medical Professionals. BLU-U therapy (Blue Light Treatment for Acne Serving Binbrook) is a new and exciting treatment we now offer. It can be done on its own or in conjunction with Levulan to provide a more aggressive treatment for those with severe acne. Click here to request a consultation and get started with one of our Registered Nurses. Microdermabrasion can be an effective tool to enhance acne treatments depending on the degree of inflammation. Chemical peels offer anti-bacterial agents as well as exfoliation. All of these options can be discussed with the client at the time of consultation at our Hamilton acne treatment clinic serving Binbrook. Click here to request a consultation and get started with one of our Registered Nurses. Learn more about how microdermabrasion can help you. Binbrook clients, Call us at 1-888-332-9930 OR request a consultation online to get more information about Acne treatment and get started with one of our Registered Nurses.